Sylvania Heights Public School is situated on spacious grounds in the Sutherland Shire, Sydney, New South Wales. There are approximately 660 students in 26 classes from Kindergarten to Year 6. Sylvania Heights Public School enjoys the strong support of its community and has maintained a reputation for high academic, cultural and sporting achievements. The school has an environment where each individual is challenged to meet their true potential. This is achieved through thorough planning and implementation of a broad range of programs that permit children to discover their strengths and pursue their interests. All endeavours of the school are based on the foundation of strong student welfare programs. We as a school are committed to fostering in students a love of learning and equipping each individual with ‘life long learning skills’. We take great pride in the diversity of programs on offer at the school and believe we have achieved a balance of priorities that are greatly supported by our community. A feature of the school that often attracts comment is the degree of care shown between students and staff. The school environment reflects harmonious relationships in a highly creative and productive atmosphere. 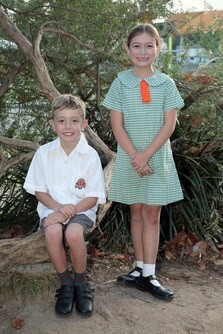 At Sylvania Heights Public school every child is known, cared for and valued. Through innovative quality teaching, our students are empowered to be successful learners who are respectful and resilient. As a Positive Behaviour for Learning (PBL) school we set high expectations for student behaviour and student learning. Our motto is: We are respectful, responsible learners. We respect the rights of others to learn. We cooperate with others and strive to do our best at all times. We care and respect others, their property and the school community. We are responsible, courteous and polite. We play in a safe and friendly way. We stay in the right place at the right time.